The Department for Education publishes performance tables for the school based on Key Stage 2 results and school characteristics. The report can be found on the Department for Education website. This year was the third year of the new style SATS for Year 6 and we are again extremely proud of the results that were achieved. The new tests are still externally marked. There is still no test for writing and this is based on teacher assessment. 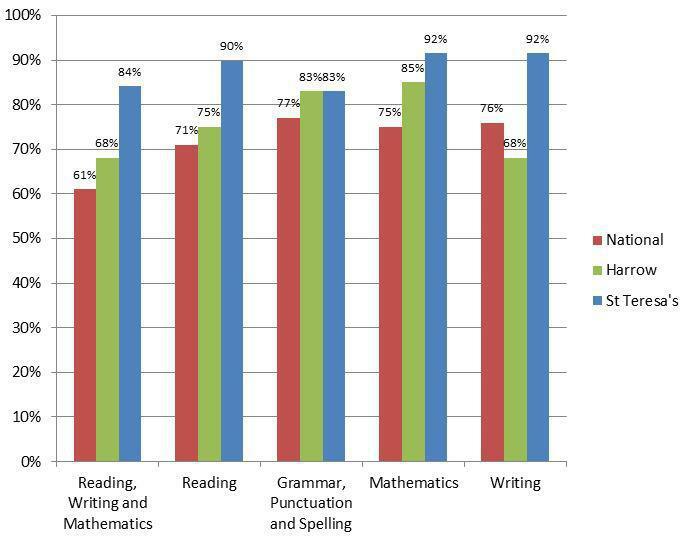 The graph below shows our KS2 attainment compared to Harrow and National results. Once again we are delighted with our KS2 Results. 84% of our pupils reached the Expected Standard in Reading, Writing and Maths compared with 61% nationally. We are extremely proud of our 2016 KS2 results. 79% of our 2015-16 Year 6 pupils reached the Expected Standard in Reading, Writing and Maths compared with 53% nationally. 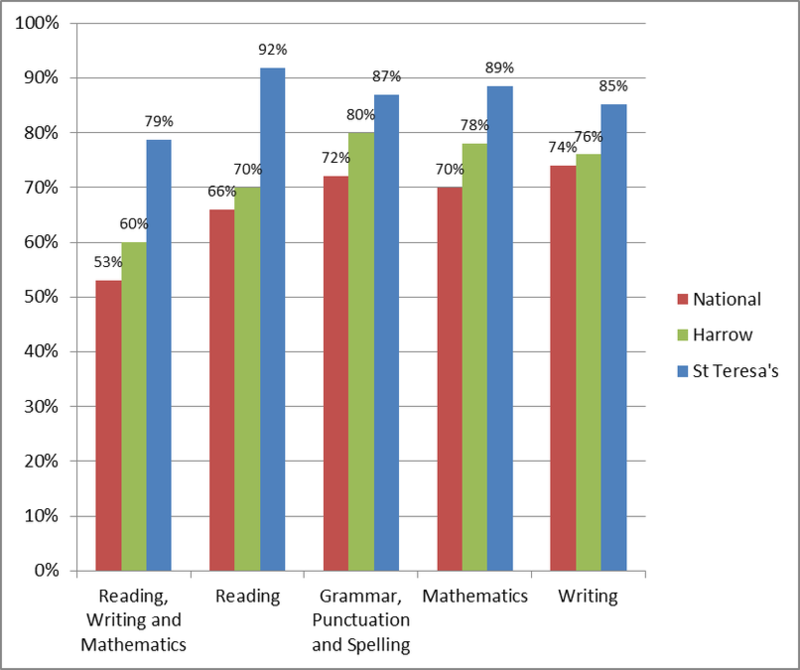 Additionally, 11% of St. Teresa's pupils reached the Higher Standard in all three subjects compared with 5% nationally. This is an outstanding achievement and we would like to congratulate all staff and pupils.